Pleasant View Chiropractor Welcomes You! Pleasant View chiropractor Dr. Joshua Carmack takes pride in offering state-of-the-art natural health care to our community. At Carmack Chiropractic, it’s important to us that you receive the most advanced, high-quality solutions to your health concerns. We’re always attending seminars and learning new ways to help health-conscious Pleasant View-area residents. 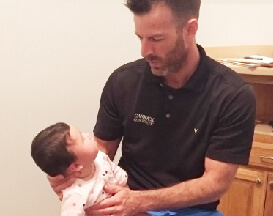 Dr. Carmack uses several different chiropractic techniques and can tailor his approach to each individual. 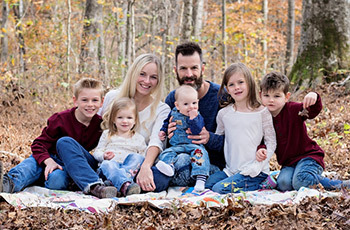 He provides care for his entire family, including his children, who have benefited from chiropractic care since birth. Our gentle methods are appropriate for all ages, from newborns to seniors. We welcome the opportunity to meet you and assess your needs! Explore our site and get to know who we are. Read some of our patient testimonials to see what others have to say about us. Contact Carmack Chiropractic today to find out what we can do for you! Hannah was a lot of help getting me in and the Doc was awesome! Thank you so much for accommodating my entire family in the room. It was like a homeschool field trip! Very informative! Ya’ll rocked my freaking world! What a blessing! I think I have made a wise decision over going to a medical doctor. Pleased with first visit. Perfect experience! I only wish I had gone sooner!!! Thank you so much for being amazing! Thank you for your help with Tyler. We learned a lot and look forward to getting Tyler back on track with you all. Think he can help me a lot! All I can say is thank you very much and God bless you. Thank you. I have already felt improvement after the first visit. Josh is great! Great job. My back feels better. I feel that when you are finished I will be completely well. Thanks much, and God bless you And yours. Looking forward to Future adjustments.